If you are considering adopting a Miniature Labradoodle, it's a good idea to research both the breed and Miniature Labradoodle breeders. Your future dog's health and temperament depend on responsible breeding practices. Learn more about these dogs and what to look for in a breeder. The Labradoodle, especially the Miniature Labradoodle, is a popular companion dog. In 1988, Australian breeder Wally Cochran of The Royal Guide Dogs, bred a Labrador Retriever with a Standard Poodle for the first time in an attempt to provide a hypoallergenic guide dog for a client. The client had a husband with severe allergies and needed a guide dog that did not shed excessive hair or dander. 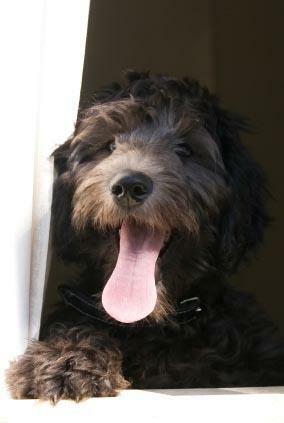 The Labradoodle, aka "Doodle", worked for the client's household. As the breed grew in popularity, breeders began breeding Doodles as both guide dogs and companion dogs. The American veterinarian and geneticist Dr. Kate Schoeffel bred the first Mini Labradoodle as a companion dog in 1991. The miniature is the result of breeding a male Toy or Miniature Poodle with a female Labrador Retriever. Miniature Labradoodles are loyal, affectionate and friendly dogs that enjoy interacting with people of all ages. The dogs are very intelligent and easy to train. They have a gentle nature that makes the Miniature Labradoodle an ideal family pet. When you search for a Miniature Labradoodle breeder, you'll want to find a responsible breeder. This person will be highly selective in their choice of which dogs to breed, the timing of the litters and the care of the dogs. Breeds only one or two litters a year: A responsible breeder should have only one or two litters a year to allow him to have time to give each puppy the right amount of attention and care. The only exception would be if the breeder has a sizable staff that can provide individualized attention for a larger number of annual litters. Protects dam's health: A good breeder also only breeds a dam over two-years-old. The dam should only be bred once a year or less to protect her health. Requires an application process with interviews: Many breeders have a comprehensive application process that includes an initial phone interview and then meetings with all family members. The process may also include a house visit. Good breeders require this type of application process because they want to make sure that you have the right home environment for a Mini Doodle, understand the needs of the breed and the commitment of dog ownership. Provides a written contract: Responsible breeders provide a written contract that explains the terms of the sale and the responsibilities of both the buyer and seller. Demonstrates expertise on the breed: The can answer most questions about temperament, health issues and provide care advice. She should be willing to answer specific questions about the health and temperament of a litter's parents. Policies on puppy placement: A responsible breeder will not separate a puppy from its mother until the puppy is at least between eight and twelve weeks old. She will also ask questions about other household pets and may require the existing pets to meet the new puppy to make sure temperaments match. Socializes the puppy: Careful breeding includes puppy socialization before placement. A good breeder will socialize a puppy in a home so that the puppy can interact with people, children and other animals. The puppy can also learn acceptable home behavior from its mother. Provides initial health care: This includes first vaccinations and full health care check. Recommends puppy care: A responsible breeder should provide detailed instructions on puppy care, food recommendations and training advice. Allows customers to return dogs: A good breeder should insist that a customer can return the dog at any age if he can no longer care for the dog. In fact, the written contract may require that the customer promise not to ever turn the dog into an animal shelter. 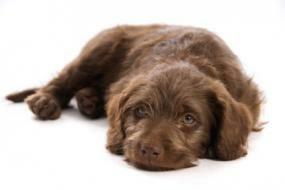 Since Mini Doodles are popular, some breeders breed any Labrador with any Poodle or excessively cross Labradoodles. Breeders disagree over whether or not these dogs should be crossed with other Labradoodles since these multi-generational breeding sometimes produce health and temperament issues. Many Doodle breeders only breed first generation dogs, meaning that one parent is a Labrador Retriever and the other is a Poodle, or they breed back cross Labradoodles. These dogs are the result of breeding a first generation Labradoodle with a non-related Poodle. This tends to result in healthier pets. Do you breed first generation, backcross or multi-generation Doodles? What are your buyer requirements? Please describe the application process. How do you get a puppy ready for placement? You can find lists of Labradoodle breeders online. The Goldendoodles.com site and the Labradoodle-dog site have comprehensive lists of Labradoodle breeders all over the world, and many breeders on the lists breed miniatures. Both sites also provide detailed information on the breed. Buying a Mini Labradoodle from a responsible breeder will help you find a healthy dog and protect you from pet sale scams. Research breeders carefully and you will find the right dog for your family.